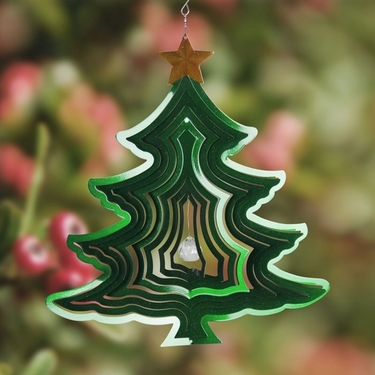 This alluring Christmas tree spinner will glimmer and reflect light as it spins in a gentle breeze. The star atop and clear beaded center add just a touch of holiday pizzazz for the season! Kinetic art spins in the breeze!. Made of Metal and UV treated.